Mr Fitzpatrick’s own and operate the last little Victorian Temperance Bar situated in the Lancashire town of Rawtenstall. It still looks the same as it always did: ceramic tap barrels, shelves lined with jars of medicinal herbs, its roots in the past whilst looking to the future. All their vintage cordials are still produced today in the time honoured tradition of botanically brewing only the finest natural ingredients. 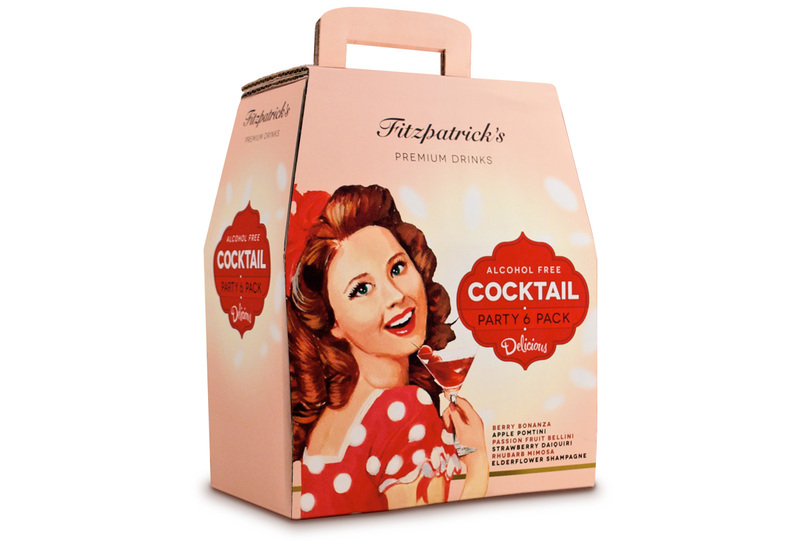 I am proud to have been part of this fine heritage by designing the packaging for the Fitzpatrick's non-alcoholic cocktails. The cocktails finally give pubs, clubs, bars and cafes a refreshing alcohol free alternative that doesn't involve cola or lemonade. 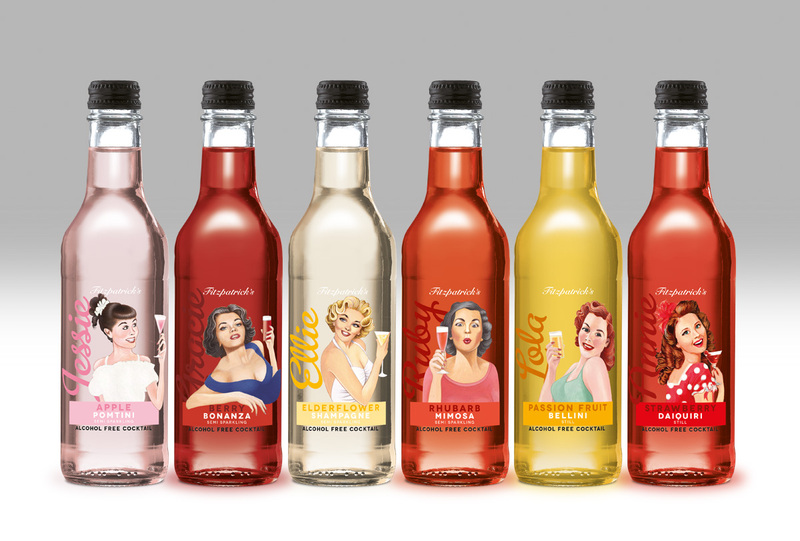 The packaging is bright and fun enough to be now, but with a definite nod to the past.